Given today's current volatility in the stock market, low interest rates, out of control consumer debt and conflicting advice from experts, it is very difficult for families to know where to turn and what to do to achieve financial independence and do proper estate planning. Add to that, the new tax laws, investment strategies and many new innovative investment products, makes it very difficult, if not impossible, for most families to keep up to date and sort through it all. Our goal is to provide you with the information and tools to help you understand the many complex estate planning and financial issues we all face in today's tough economic environment. Today, most families are looking for more effective ways to secure their financial future. They recognize they need a better strategy as a foundation of their overall financial plan, instead of just relying on the traditional financial planning techniques that aren't working in today's economic environment. Reduce Or Eliminate Consumer Debt - Families need real help to free up their money so they can start saving for their future. Maximize The Amount You Can Save From Current Income - Families need help to find the money to put into savings. Guarantee The Safety Of Your Savings Principal - With the recent losses in the stock market most families recognize they can't afford to lose any more of their hard earned money. Minimize Your Income Taxes - Is there any question that income taxes can significantly reduce the amount of money available for savings! Position Your Money To Provide Current Liquidity - Families need to have access to their money, without penalties, prior to age 65, for college funding, emergencies and other family expenses. Maximize Your Savings Plan Income - It's not how much money you've accumulated. It's how much income you have to spend. Tax Free provides more spendable retirement income than Tax Deferred! Joseph Adelizzi is an attorney and proponent of tax advantaged retirement savings programs and is proud to serve the San Diego metro area. Over the years, he has helped our neighbors get out of debt and plan for the retirement they have always wanted. 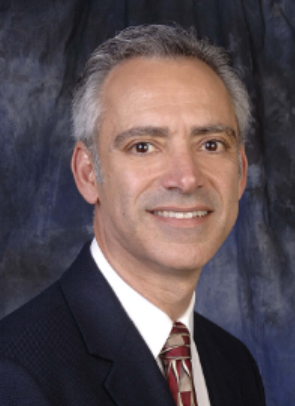 Joseph Adelizzi is an attorney and principal of Security Planning Group, Inc. He has been in practice since 1984 and has litigated cases for some of the nation’s largest insurance companies. He is admitted to the following: California Supreme Court, State Bar of California; United States District Courts, Central District and Southern District of California; United States Tax Court, all 50 states. He is a certified Mediator and served on the Settlement Conference Panel of the San Diego Superior Court as a Judge Pro Tem from 1987 to 2006. He is rated as “Distinguished” by Martindale Hubbel and in a recent run for Superior Court Judge in 2014 was vetted by the San Diego County Bar Association and was the only civil litigator in that election rated “Qualified” for the position of Superior Court Judge. He has handled Appellate cases successfully and has won trials in the areas of Employment Law, Business, Civil and Contract Litigation. He founded Security Planning Group, Inc., as a group of legal professionals who are constantly striving to expand the professional and public knowledge about financial self-defense plans, to guard against Governmental Security, the Internal Revenue Service, Department of Health Services, Hospitals and Nursing Homes, which are just a short list of the potential threats to your family's financial security and your own personal rights. Mr. Adelizzi takes an active role in speaking about new legislation for elders and advocates the rights of individuals to be free to make personal choices free of governmental oversight. Besides advocating for the use of Health Care Directives and Financial Powers of Attorney, he handles Trust issues and has litigated Trust and Probate matters. He has had 2 Mandatory Continuing Education courses approved by the State Bars of California and Florida where he has lectured attorneys on the Tax Advantaged Use of Life Insurance in Retirement Planning. On a personal note, Mr. Adelizzi, is a native New Yorker who has been a resident of Encinitas, California since 1981. He is married to his wife, Margaret and has two grown children. In his spare time, Mr. Adelizzi enjoys a variety of activities such as golf, scuba diving, fishing, skiing and racing as a 7 time Ironman competitive triathlete.